Stone Element Limted - Bathrooms, Kitchens, Tiler - Tiling based in Newton Aycliffe, Durham. 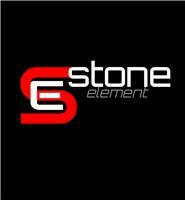 Stone Element are a small team of work surface and tiling specialists. We template, supply and install a range of worktops in granite, quartz, solid surface and timber and specialise in the quality fitting of all types of wall and floor tiling. With years of experience in the work surface installation industry, we offer outstanding quality, attention to detail and customer care. We specialise in granite worktops in Durham, Darlington and across the North-East, and offer a template, supply and install surface for a range of solid surface, granite, quartz and timber worktops. We offer an affordable, reputable and high quality wall and floor tiling service, offering advice on all types of stone. So if you are looking for granite fitters in Durham, Darlington or across the North-East, or are looking for quality tradesmen in the north-east for your wall and floor tiling needs, then call us for a quote or visit our contact page for more details.